The designer and manufacturer of a Russian satellite launched on Thursday has no information about its location or condition, the Khrunichev State Research and Production Center said. 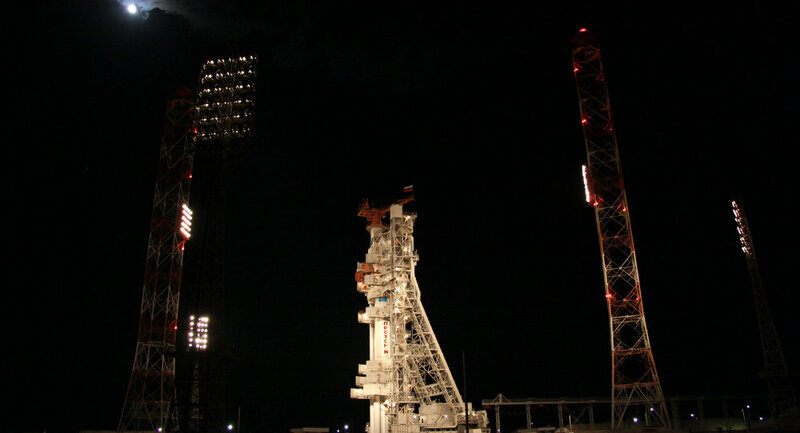 Russia's Proton-M rocket with the Express-AM4 satellite was launched from the Baikonur space center in Kazakhstan but mission control failed to establish communication with it. North American Aerospace Defense Command (NORAD) may have spotted a fuel tank jettisoned by the satellite's booster rocket, Briz-M, but there was no sign of the satellite itself, a space industry source said. The booster was spotted later but it is unknown whether it has or has not separated from the satellite, Roscosmos press secretary Alexei Kuznetsov said. The Briz-M booster was currently “in orbit,” he said, adding that the information received by ground control was being analyzed. It was previously reported that the satellite's launch and orbital operation was insured for 7.5 billion rubles ($259 million). The 5.8-ton satellite was designed and built by the Khrunichev Production Center jointly with Astrium, a subsidiary of the European Aeronautic Defense and Space Company (EADS). The Express-AM4 was equipped with 63 transponders operating in C-, Ku-, Ka and L-bands to provide high performance coverage over the Russian Federation and other CIS countries.